The one-hundred twenty-five year old pine wooden floor creaks with each step I take into my old parish church, in the Logan Barrio of Santa Ana, California. Morning shadows retreat, as bright sunlight pierces though the prism of a Tiffany window, scattering color upon the floor near the baptismal font. I dip my hand into the holy water, make the sign of the cross and I remember. I remember our son Erik’s baptism in 1983 and the hundreds of baptisms in which I presided over thirty years as pastor. To my left is the Mary Chapel, a folk art figure of Our Lady of Guadalupe. On that prie-dieu, radiant fifteen-year-old Latina girls, resplendent in colorful, puffy dresses, offered prayers and bouquets of roses to the Blessed Mother during their Quinceanera. I continue up the center aisle. At the foot of the chancel, a mahogany casket bears the body of Jean, my beloved parishioner of many years. I have returned to my old parish to celebrate her Requiem Mass. There is a vigil viewing before the Requiem, the top half of the casket is open, and I see her face. I know there is mortuary art to the presentation, but I do see the light of Christ emanating from that familiar face, even a wry smile. 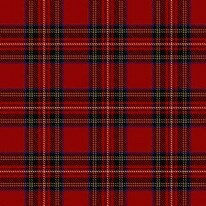 The wide sash of her Scottish family tartan covers her shoulder and chest. In a few minutes, a bag piper begins the liturgy of the Requiem. As I walk to my right toward the sacristy and to vest, I pause and gaze out over the honey hued pews. In a flash of memory, I see faces of many souls who were part of this parish family, with whom I worked, and counseled and rejoiced, and grieved, and who are now with the Lord in eternal life. I cannot walk upon these creaking old floors, looking into dusty corners, without being embraced by powerful Memory. Over the last ten years of ministry at Messiah Episcopal Church, Santa Ana, I visited Jean at an Alzheimer’s Unit in Huntington Beach. The elevator had an entrance and exit code that one had to remember in order to enter or leave the unit. I knocked on her door and often needed a nurse to open the heavy door. Jean looked at me with surprise, and in her eyes there was vague recognition of me, but only slight. I always began by walking around her homey room looking at the family photos and asked her to tell me about them. From time to time, memory would spark and there was her father’s picture. The family began in an obscure corner of the Scottish Highlands, but her physician father moved the family south to England to practice medicine. However, she never lost her innate longing for her Homeland. Over here is a photo of her husband, Mario, in his US Army uniform during World War II. Eventually they married and came to America. Memories come and go. As the months and years progressed, the Cloud of Forgetting descended. But I remember this. I opened the Holy Communion box, set out fair linen, upon which I placed the consecrated Host and wine. We began our prayers. Jean seemed to be watching something she did not understand, until we shared the Lord’s Prayer, holding hands. Slowly I said the words, and she always could join me through most of the prayer. Her tears of remembering would trickle down her cheeks onto my prayer book. While her memories of a long life faded, her soul presence in communion with me and the Lord was very much right there. I will never forget that experience of communion with Jean. After Jean’s Requiem Mass at the Church, we processed over to Holy Sepulcher Cemetery in the hills above Orange, CA. The piper played Scottish tunes, which were carried off in the wind. Eulogies and stories were told with warmth, love, humor, and gratitude. In those words of remembrance, Jean became alive again for us. We were being reminded that she was still with us. “I believe that what they so wonderfully and uniquely embodied here on earth is still going on, happening on the other side. I suspect there are more than white clouds, harps, and floating angels in heaven, but that heaven is rife with wit, color, humor, and thoroughly wicked stories because whenever we recall these about our deceased loved ones their memory turns warm and nurturing.” (An Earthy View of the Communion of Saints, April 29, 2012. Rest eternal, grant to Jean, O Lord, and may light perpetual shine upon her. This entry was posted in Blog and tagged Alfred North Whitehead, California, Requiem Mass, Santa Ana, Scottish Highlands. Bookmark the permalink. Thank you Fr. Brad! You took me on a stroll down memory lane as well remembering the funeral of my beloved Angela back in 1998! Yes, I do remember Jean also! Thank you for being there for me & all the wonderful memories I have of my attendance while you were there! I’ll never forget it!! As usual, you painted a picture that put me in the room with you and Jean and in the church with you. I miss your storytelling style. Your experience highlights one of the reasons to maintain some of the older traditions from the church. Thank you and we miss you!